The shortage of skills in South Africa is not unique to the built environment and construction sector, but it is felt more in some industries as opposed to others. Companies such as Belgotex Floors are addressing the skills gap by providing training opportunities in various forms to help and ensure that this goal is achieved. The Belgotex Floorcovering Academy offers a number of training programmes related to flooring. Besides having considerable success in providing training and technical updates for people in the flooring industry, it also partners with schools for students with learning disabilities to implement the NQF 1 qualification for the installation of floorcoverings, in order for the students to leave school with a CETA accredited qualification making them employable as qualified installers, this also exceeds the grade 7 qualification that they leave school with. Some of these schools include Van Kervel School in George and Daeraad School in Wolmaransstad, North West Province, this program will be extended to several other likewise schools in the new year. Belgotex has worked closely with several schools over the past nine years on an informal floorcovering installation program with great success and decided in 2013 to formalise the NQF 1 qualifications for the schools by first simplifying the learning material for the students understanding, but still complying with the qualification requirements and then approaching CETA for permission to present the subject formally in the schools. Considering CETA is a higher education authority and the schools are MML schools, for students with mild to moderate learning disabilities & severe behaviour troubled children this project is a huge success going forward to make these students employable in a market where there is a shortage of installers. Allan de Wit, Technical Support Manager at Belgotex Floors said, creating the program and building it up to where it is today, has been a challenging but rewarding process. On 20 October 2017, CETA (The Construction Education and Training Authority) presented Belgotex Floors with an award for a pilot project between SSETA, CETA, and Belgotex, which focused on skills development in the flooring sector. 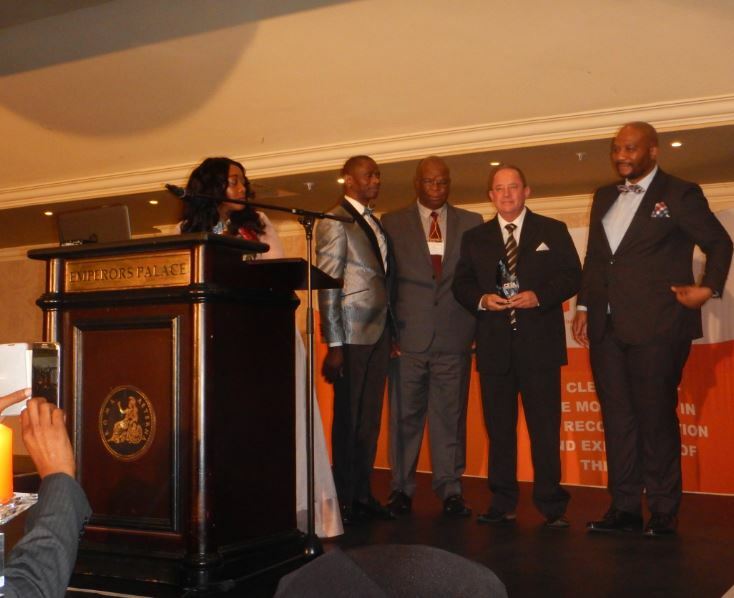 The Chairman of CETA, Raymond Cele, the CEO of CETA, Sonja Pilusa, the President of the National Union of Mine Workers, Peter Matosa, and the CEO of the South African Forum of Civil Engineering Contractors, Webster Mfebe, attended the event. The company celebrated the award by hosting an event on 7 November 2017 at the Belgotex Showroom in Johannesburg. Editor of FLOORS in Africa magazine, Roxanne Mancini, attended the event at the Belgotex Showroom in Johannesburg. “This pilot project is definitely a win-win for all involved and a testament to what can be achieved when flooring manufacturers and authorities come together to solve common challenges in the industry. The learners, flooring companies and the construction industry as a whole will continue to benefit from these initiatives well into the future,” says Roxanne. Tandy Coleman, FITA Chairman, says that flooring manufacturers and FITA are working together to develop a national curriculum and a career path that a fitter can follow to create a new pool of skilled labour. This will ensure that this industry thrives going forward. “Projects like the ones that Belgotex has been involved in meet all of the requirements and will have a hugely positive impact on the next generation of fitters. FITA is very proud to have a registered member like Belgotex who is so committed to skills development. We need all our manufacturing members to put their time, money and skills into building the floor fitting skills in South Africa which will lead to long term creation of jobs and a thriving industry for the benefit of all, while meeting the government needs of job creation and skills development,” concludes Tandy.